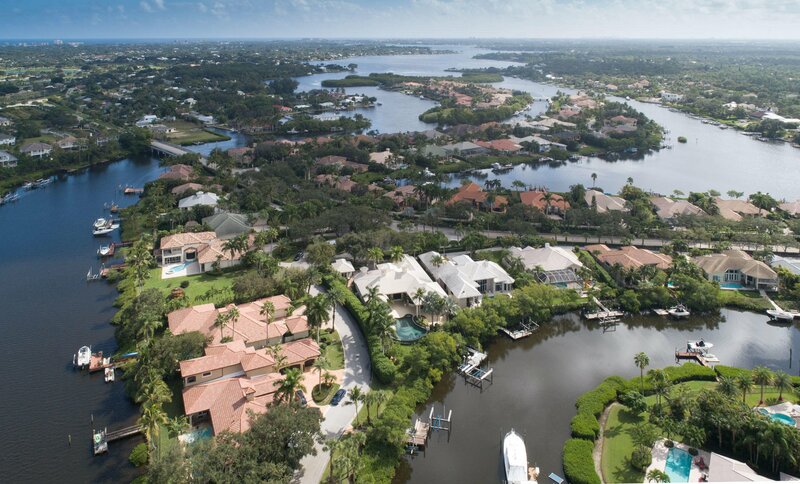 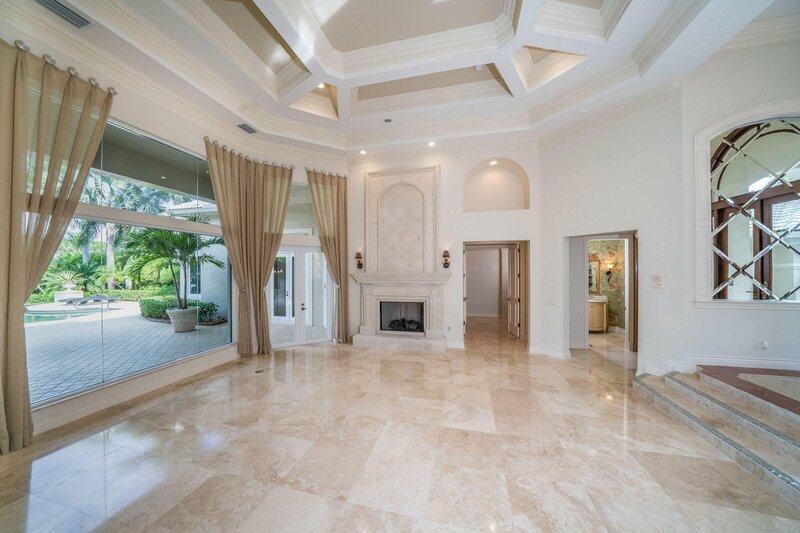 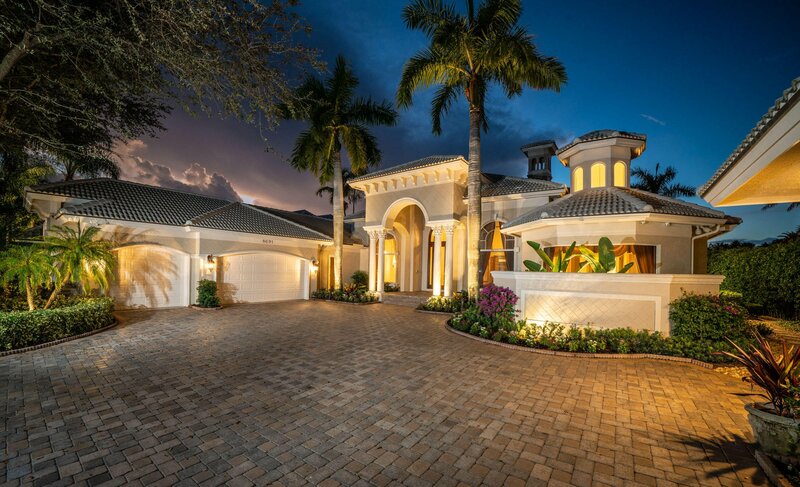 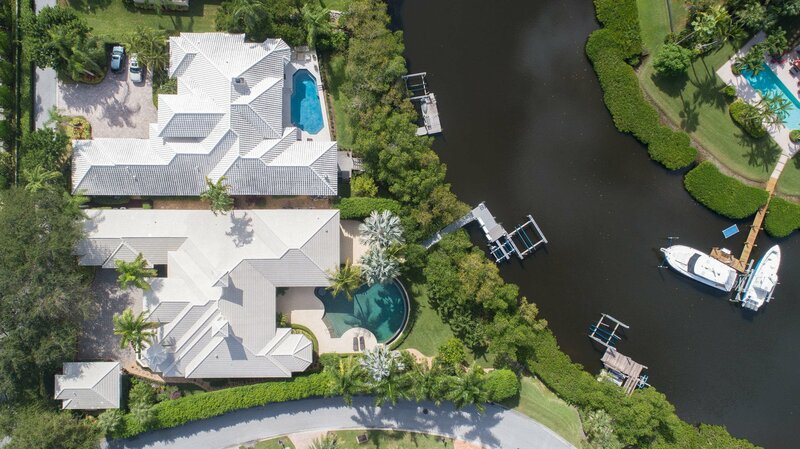 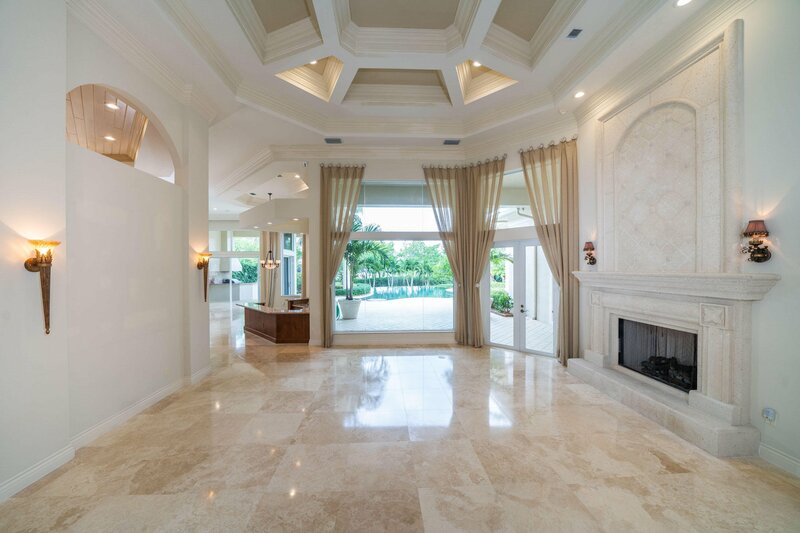 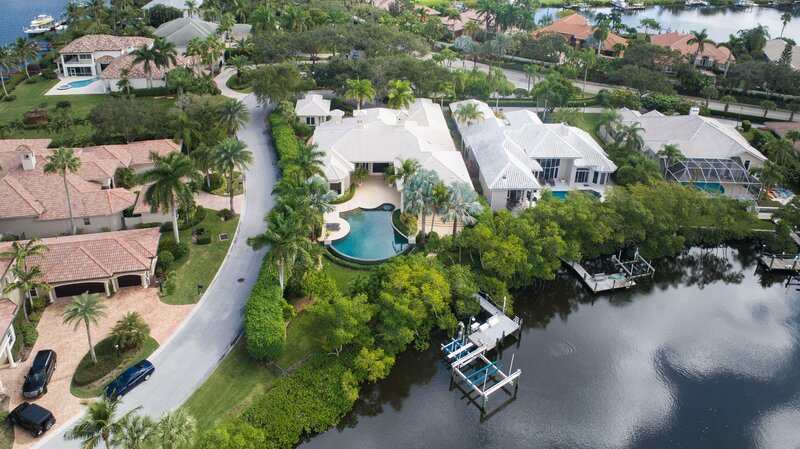 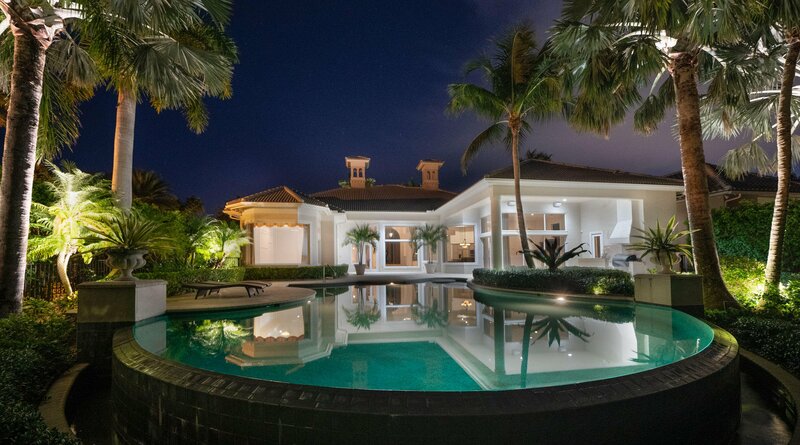 This is the largest, newer one level fully equipped turnkey waterfront home on the market in The Islands of Jupiter. 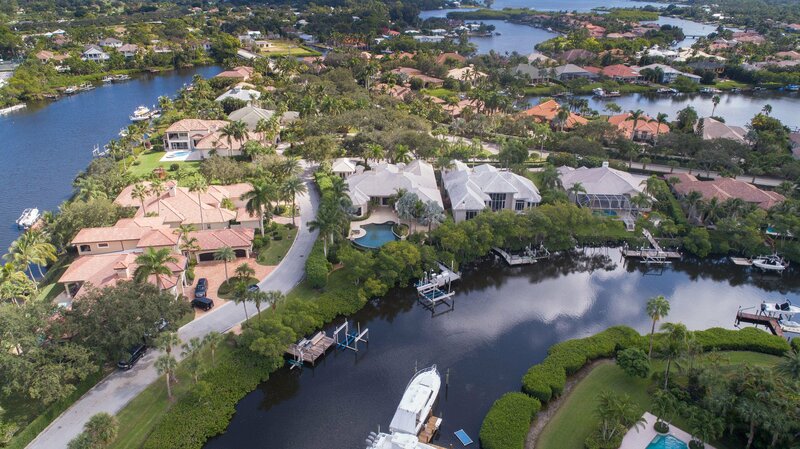 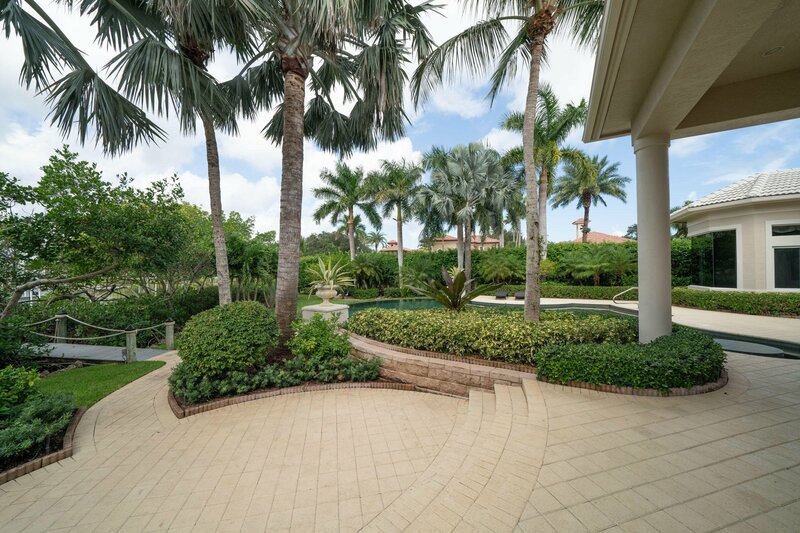 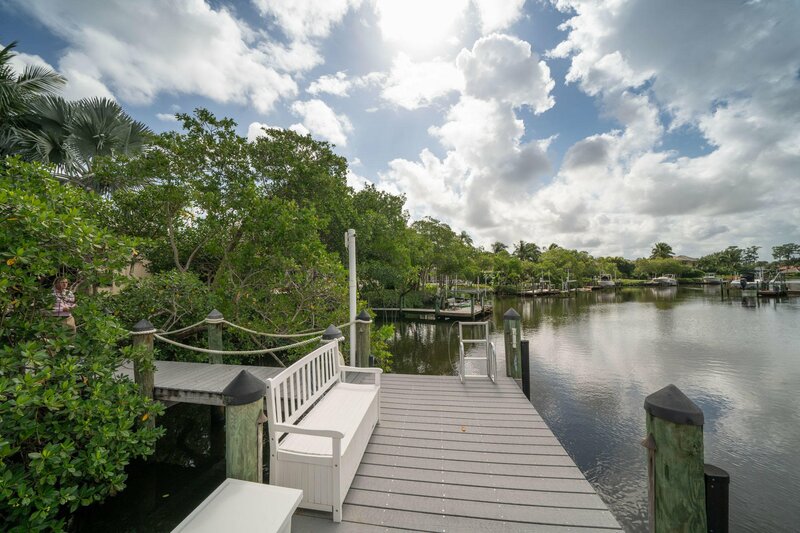 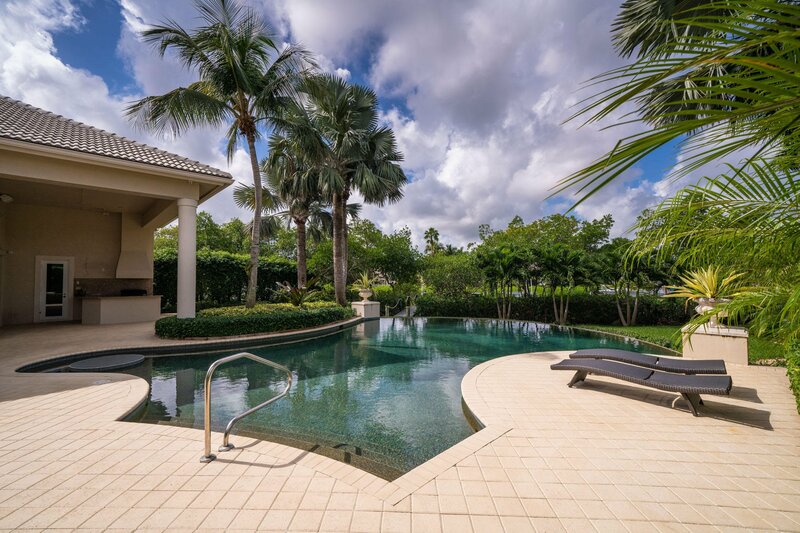 Meticulously owner maintained Mediterranean ''corner lot'' waterfront home with quick access to the intracoastal waterway and ocean in the exclusive gated community of The Islands of Jupiter. 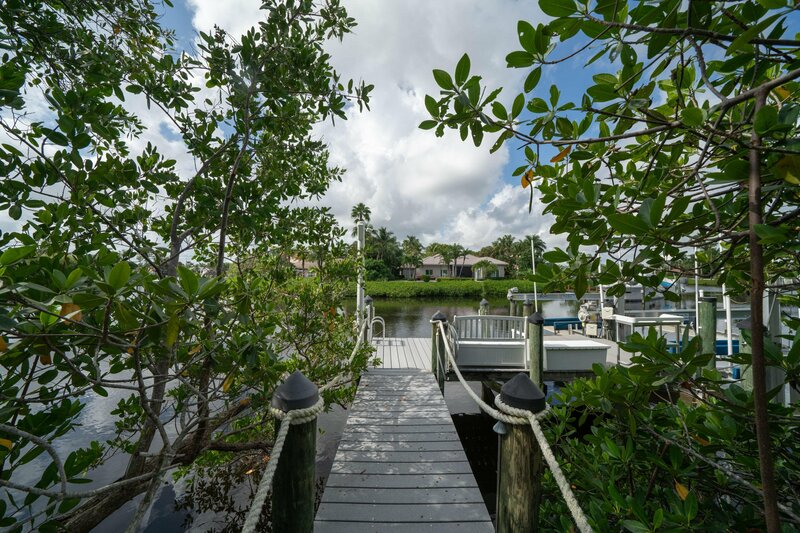 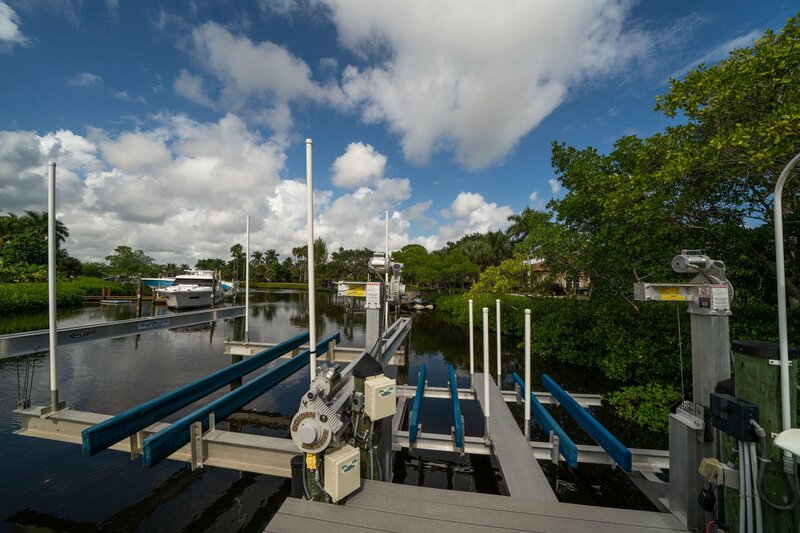 This eastern exposure waterfront home is a boater's dream which includes a remote controlled custom built 2014 dock with a 28,000 pound Golden boat lift and 6,000 pound Golden elevator lift.. Minutes away from the ocean to do deep sea fishing or dining at your favorite waterfront restaurant. 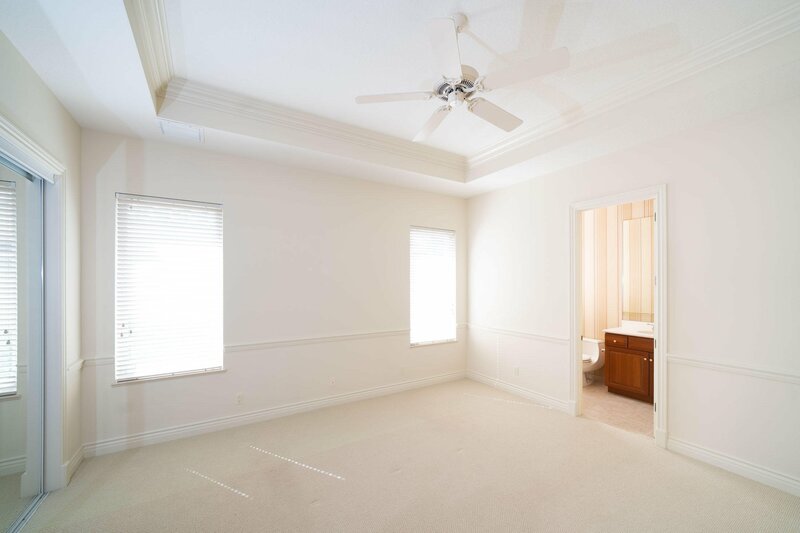 The main house includes 4 bedrooms, 5.5 bath, 3 car garage plus a detached guest house with 1 bedroom and 1 bath which is perfect for a college student or out of town guest. 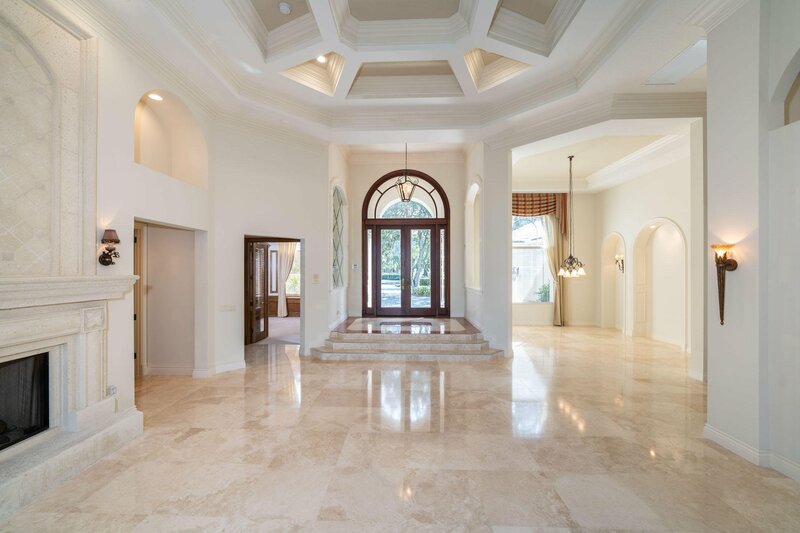 You will be mesmerized walking through the grand front doors which lead into the formal living room which includes a spectacular panoramic view of the pool/patio area and river. 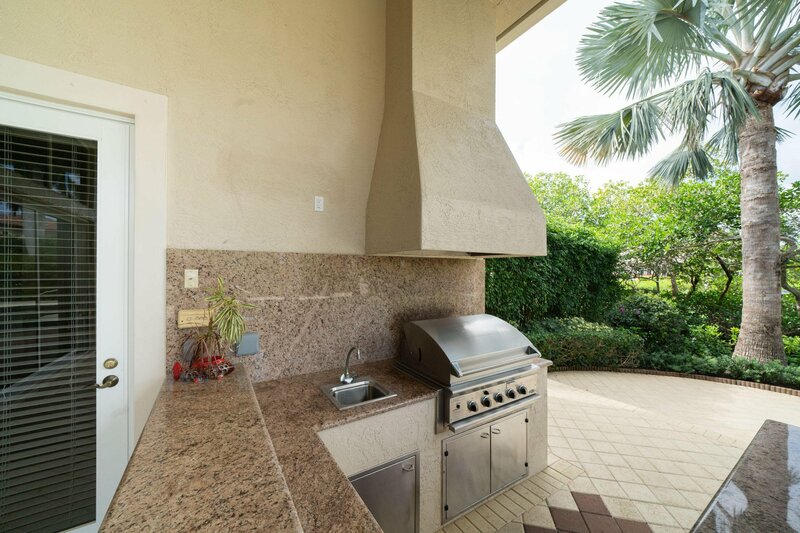 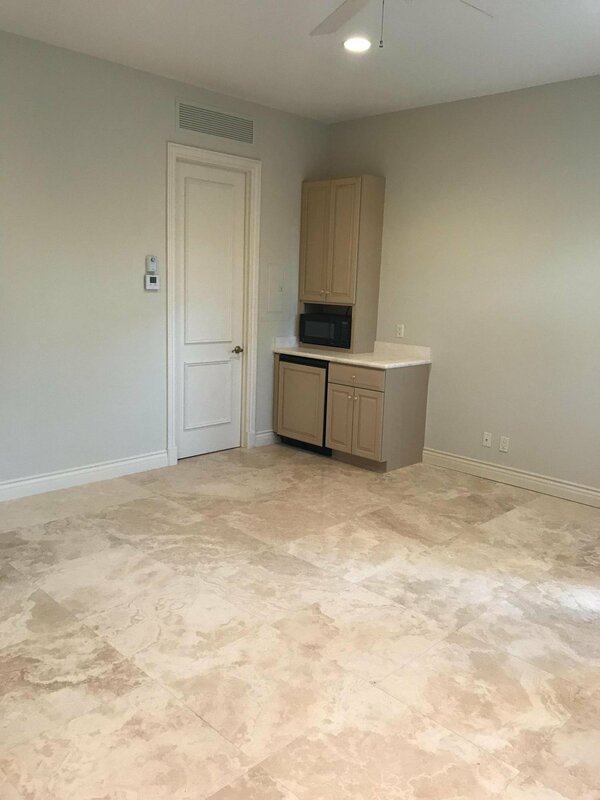 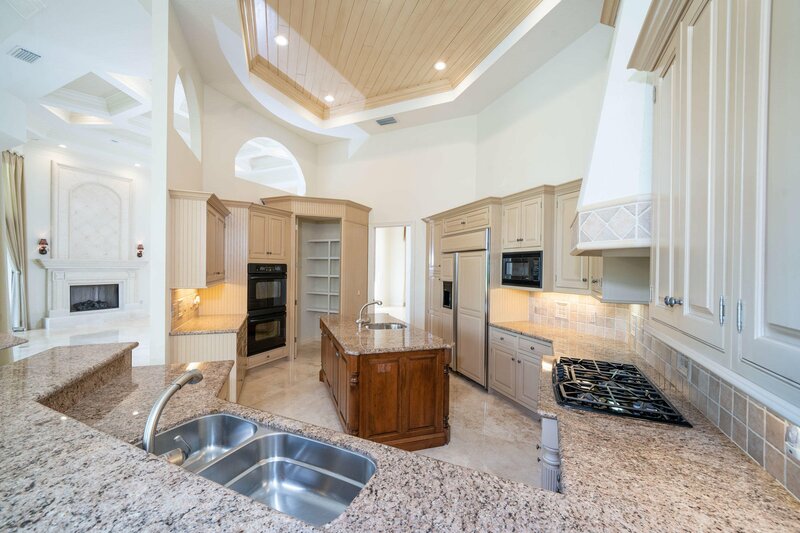 The custom gourmet kitchen is dream for the cook in the family! 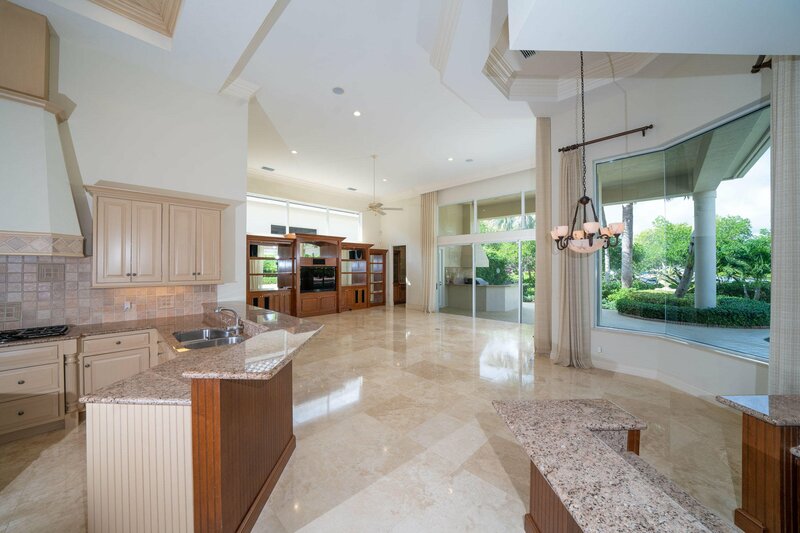 Equipped with a large gas burning range, plenty of counter prep space with an oversized center island, granite countertops, fine wood cabinetry and plenty of pantry space opening up to the entertainment living room which also overlooks the large patio and beautiful salt water heated infinity edge pool and outdoor kitchen and grill patio. 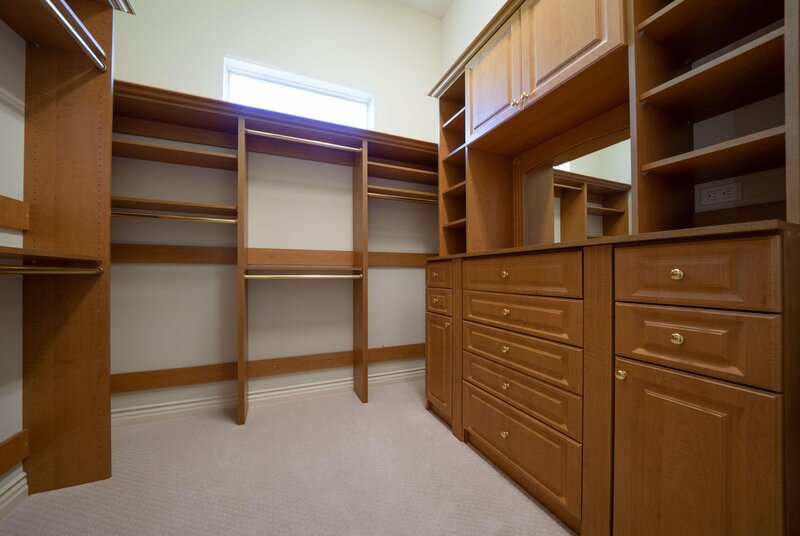 The den has been converted into the 4th bedroom which includes a beautiful custom wood closet/desk built in wall unit which can fit a built in murphy bed. 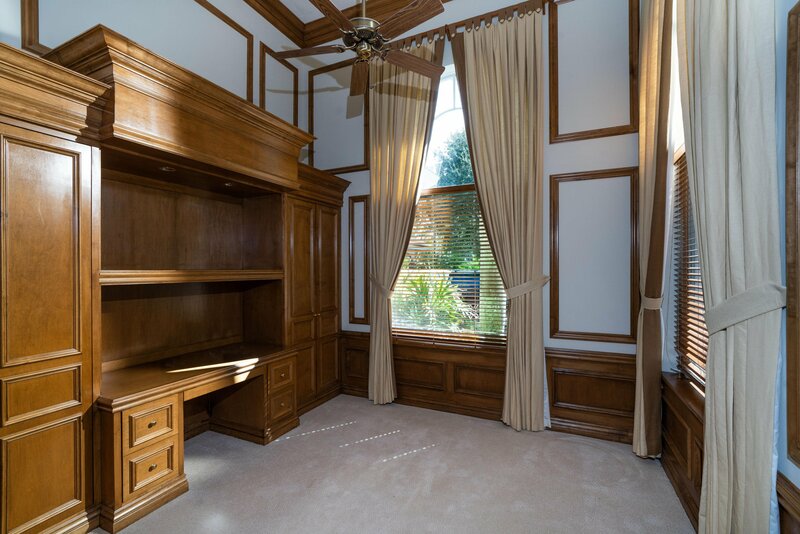 This 4th bedroom can easily be converted back to a den. 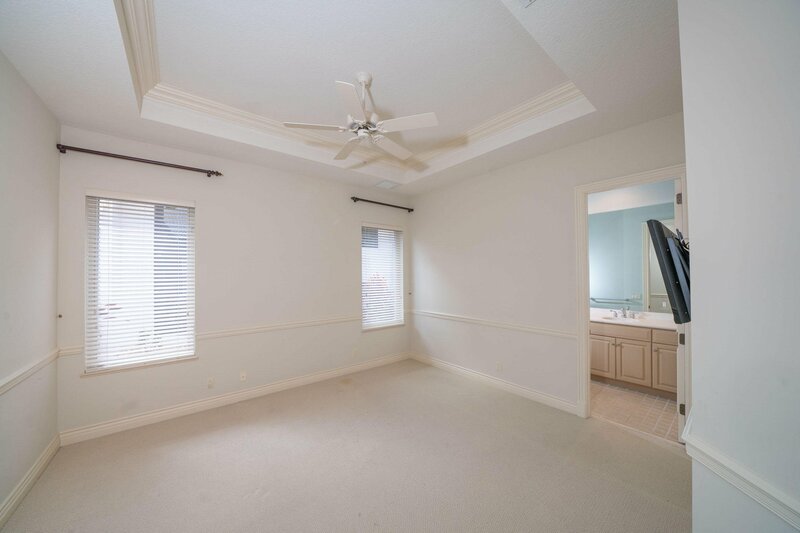 The formal dining room is spacious enough for a double leaf table that will comfortably fit 12. 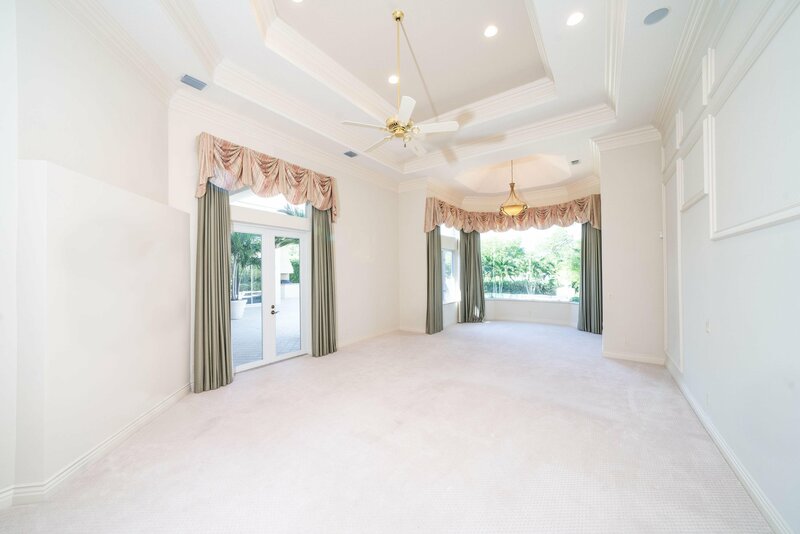 The master bedroom suite is located on the north wing of the home and is gigantic. 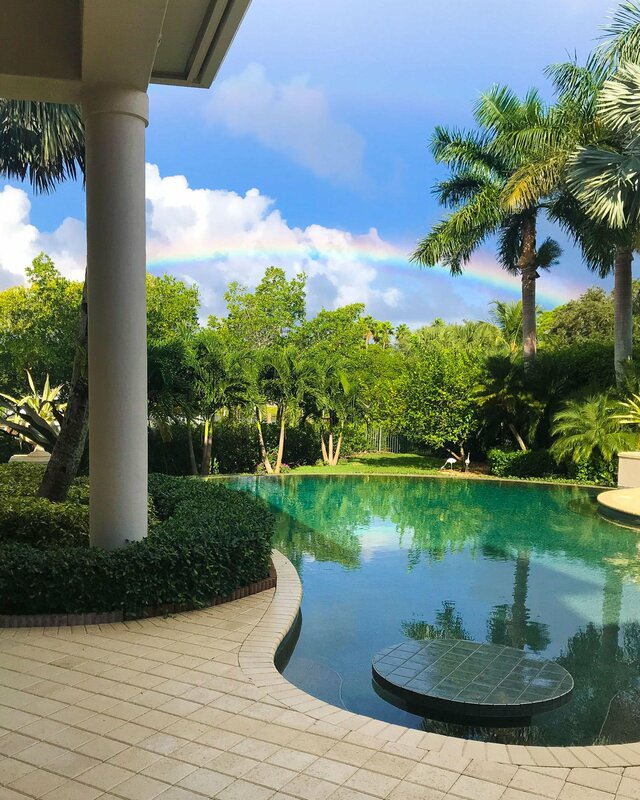 It includes a large sitting area with a spectacular view of the infinite pool, his and her closets with custom wood built in shelves, separate his and her master bathroom suites and a separate powder room. 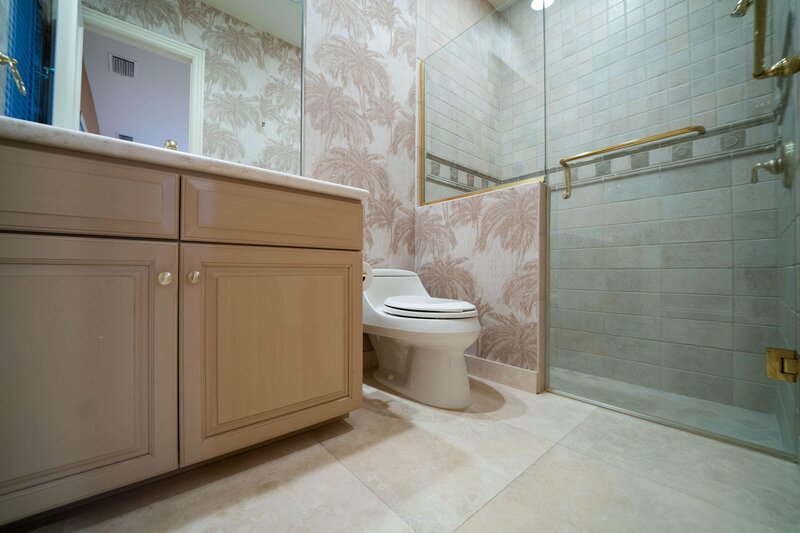 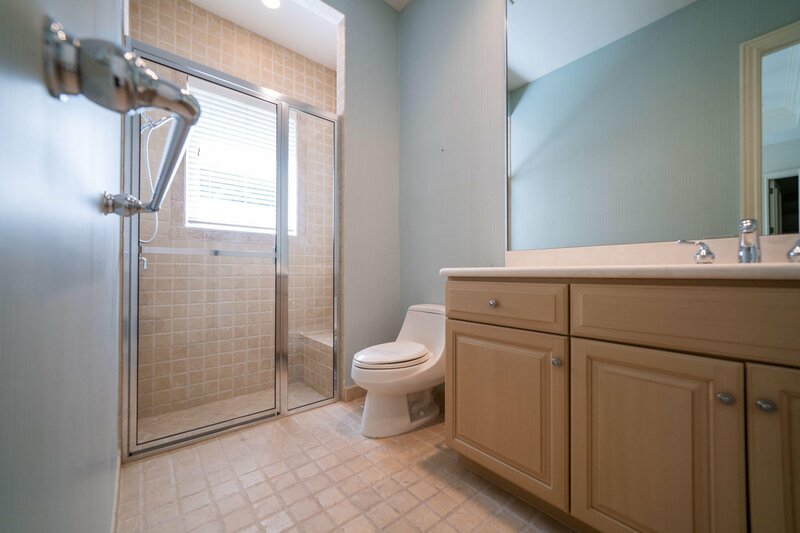 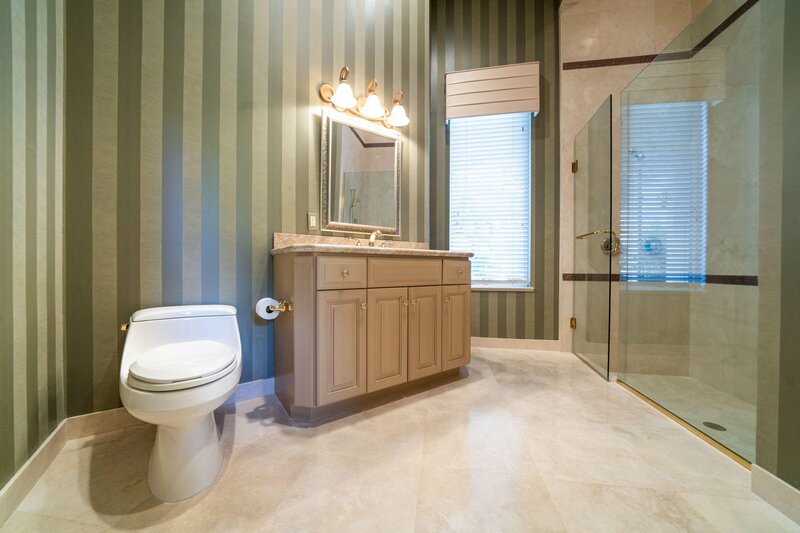 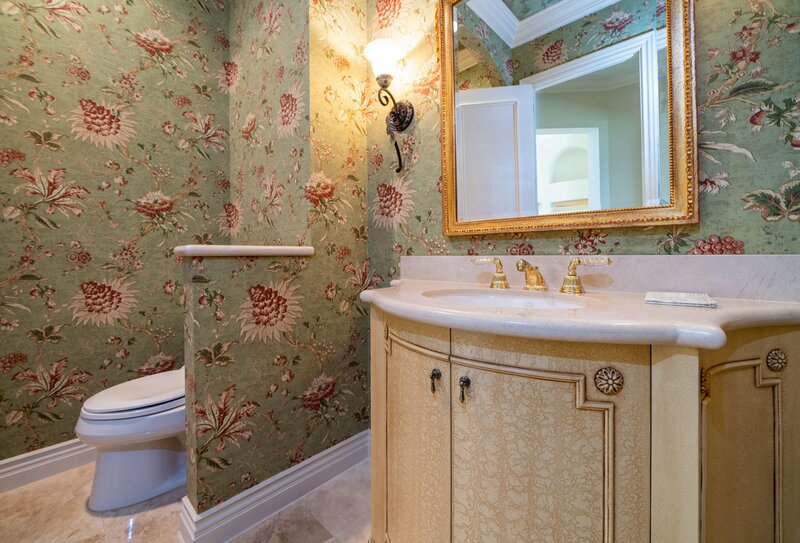 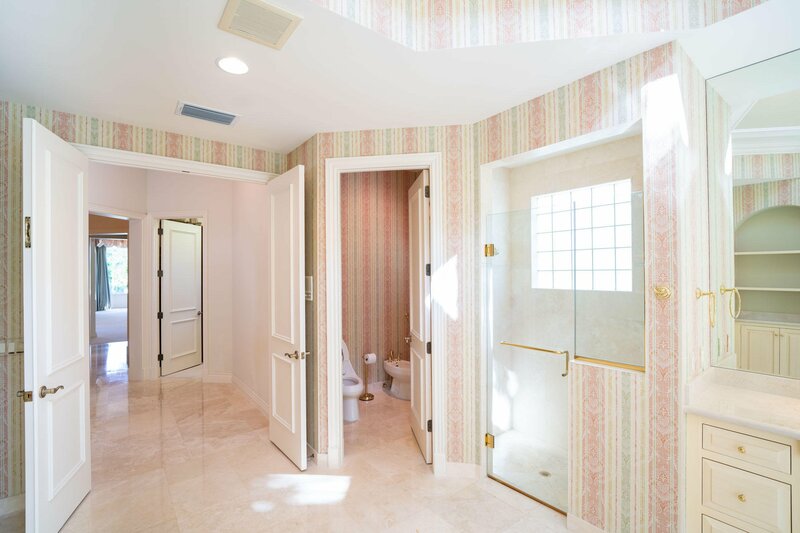 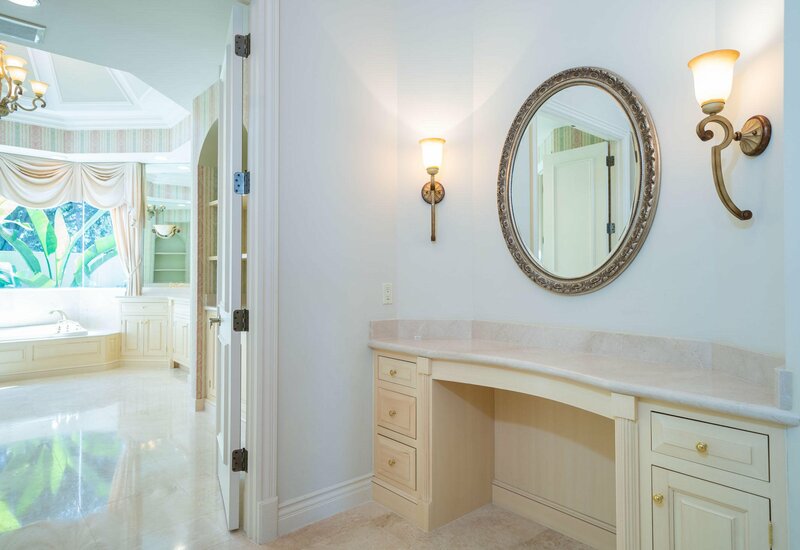 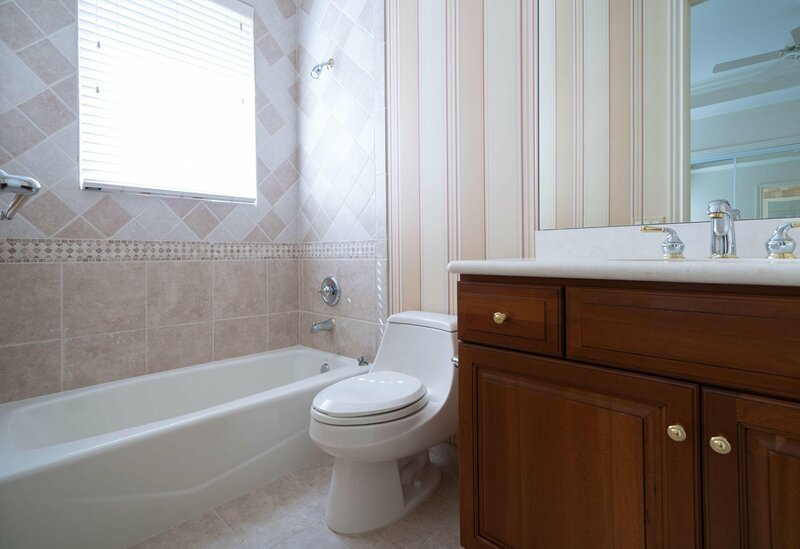 The "her" master bathroom is an oversized sweet surprise actually more like a private sanctuary unlike the smaller master bathrooms that are seen in most Florida houses. 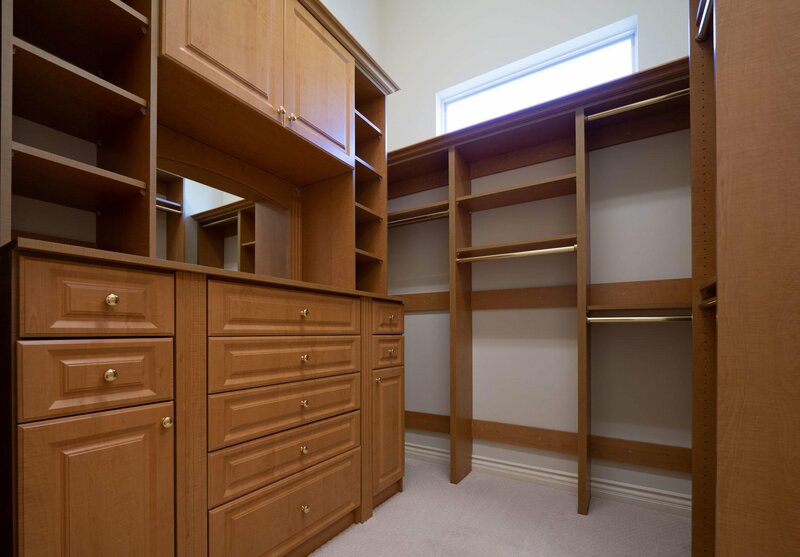 The 5th bedroom is the detached mother-in-law guest house which is very spacious and has it's own full bath, a mini refrigerator, microwave and newly installed a/c unit. 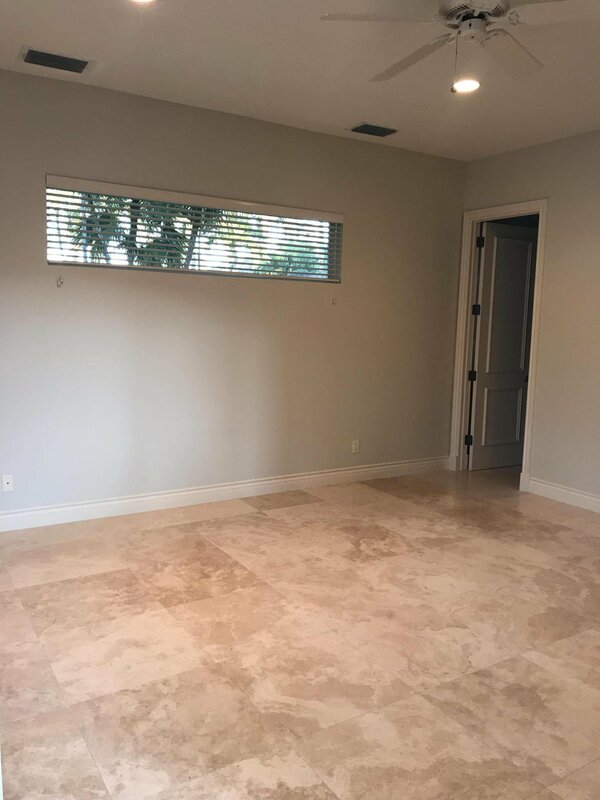 Driveway and landscape has been maintained extremely well and comes with custom lighting which illuminates the entire property, house, driveway and oak trees. 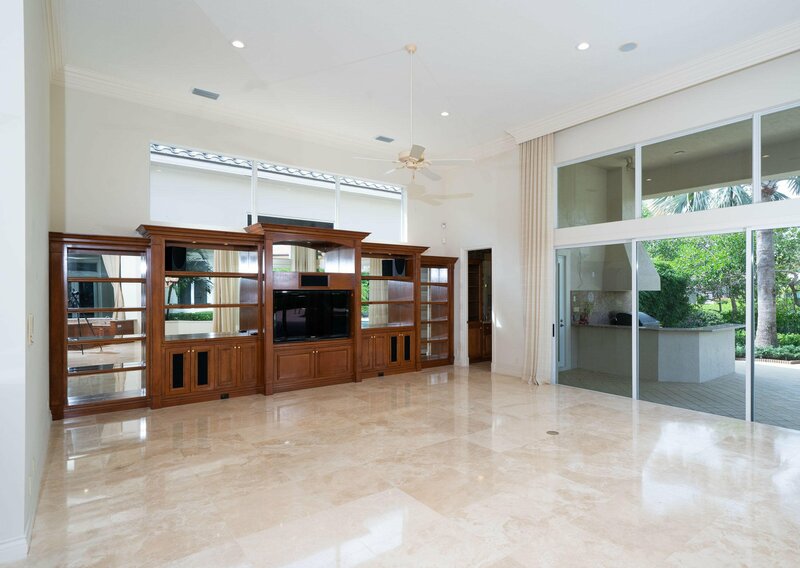 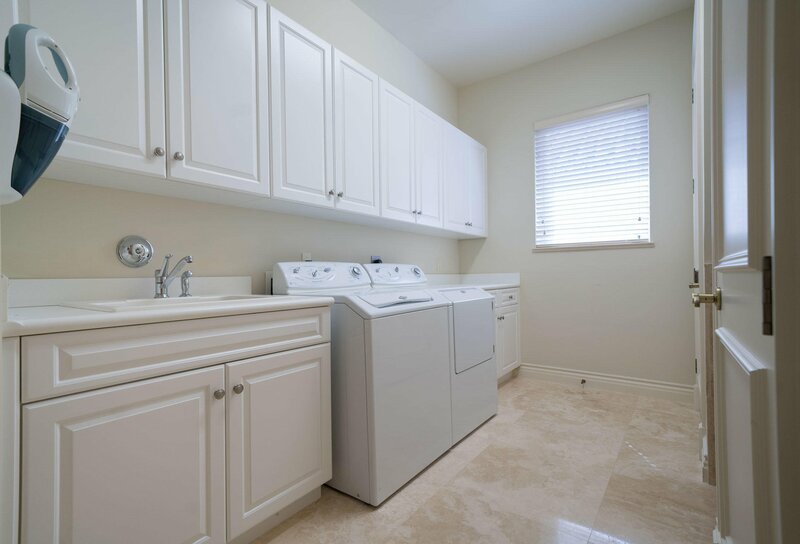 Interior and exterior security cameras, upgraded LED lighting and fixtures throughout, Helios sound system with three speaker zones installed in family room, grill area and pool area, large private laundry room, new hot water heater, marble floors and tile throughout, plenty of storage, custom designed and regularly maintained landscaped property, updated irrigation system and more!